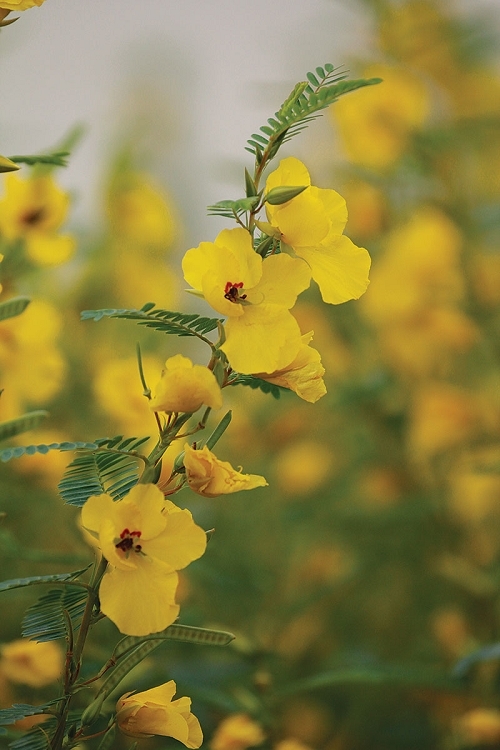 Partridge pea is an easy-to-grow wildlife magnet. Bees--especially honeybees and bumblebees-- are the main pollinators. Certain yellow butterflies commonly known as sulfurs use partridge pea as a host plant; the caterpillars of these butterflies use the foliage as a primary food source. Birds, in turn, eat many of the caterpillars as well as the nutritious seeds that form in late summer and fall. 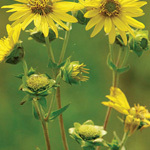 The seeds remain palatable through the winter and into spring, and are a staple for quail and other grassland birds. Small glands at the base of the leaves produce nectar that attract ants and other insects. Deer may nibble the foliage, but the leaves contain anthraquinone and is cathartic if consumed in large amounts--cattle should avoid this plant. 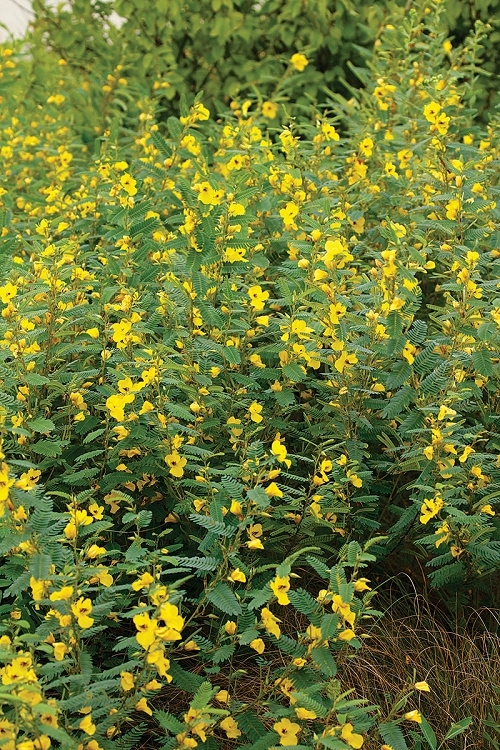 This annual legume typically is a pioneer species that shows up on disturbed sites. 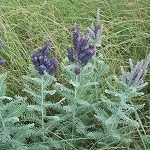 Used as a cover crop, it can form dense stands that persist until perennial species get established. The dense stands provide excellent cover for gamebirds and are effective at helping to control erosion. Seeds: Harvest seed in October. Germination can be improved with some exposure to cold/moist conditions (stratification); sow seed December through May.